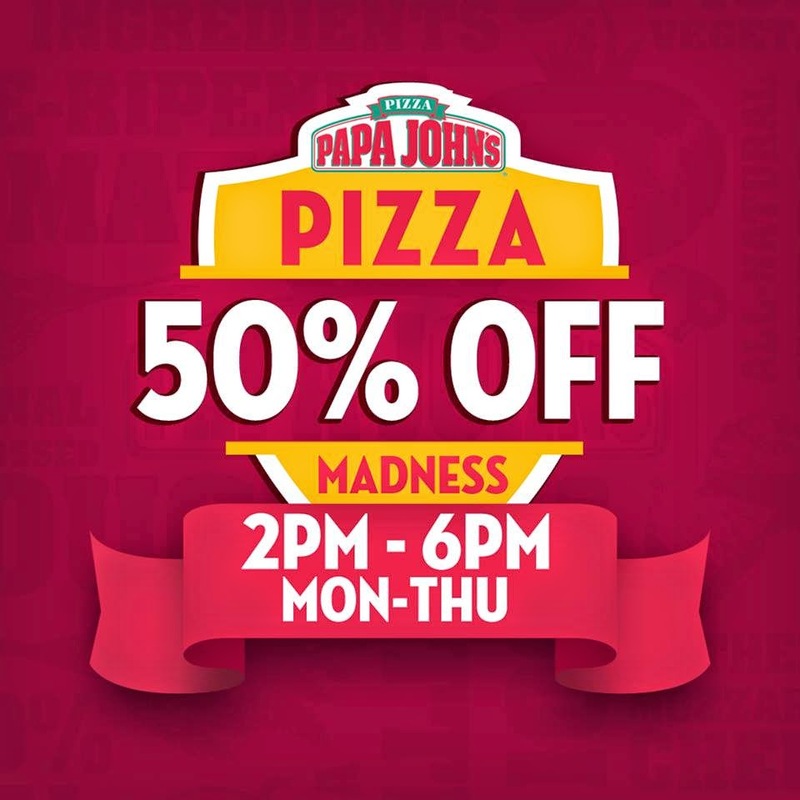 Papa John's Pizza is offering 50% OFF on Family and Party sized Classic Pizzas with a purchase of any Coke product from Monday to Thursday from 2:00 PM - 6:00 PM. Available for dine-in and take-out until November 30, 2014 on all Papa John's Pizza outlets (except Wilson St. Greenhills). 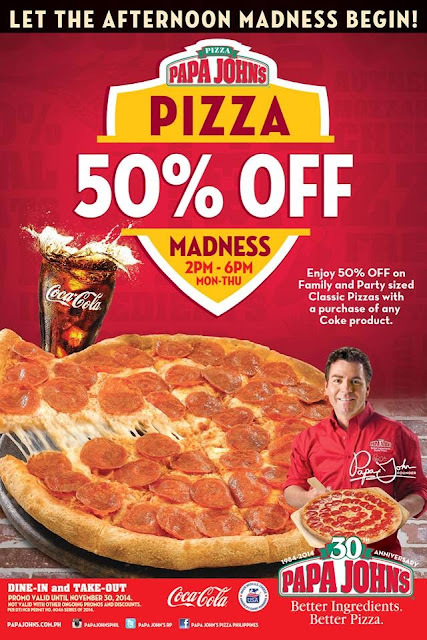 Visit their website at www.papajohns.com.ph for the complete list of branches. For more info you may send an e-mail to: info@papajohns.com.ph or call (+632) 570-7022.